This retreat will be personally beneficial for you, your relationships, attitude, mission, and life, and will also benefit Grace and our mission in Tomahawk and beyond. Many of the changes and happenings in our culture and the church in this 21st Century we may not like, but a key blessing in this century is that the church is directly addressing and growing are our relationships, faith, and mission and making it relevant, practical and rich in our personal lives. This retreat will build on our strengths in our personal lives and as a congregation. 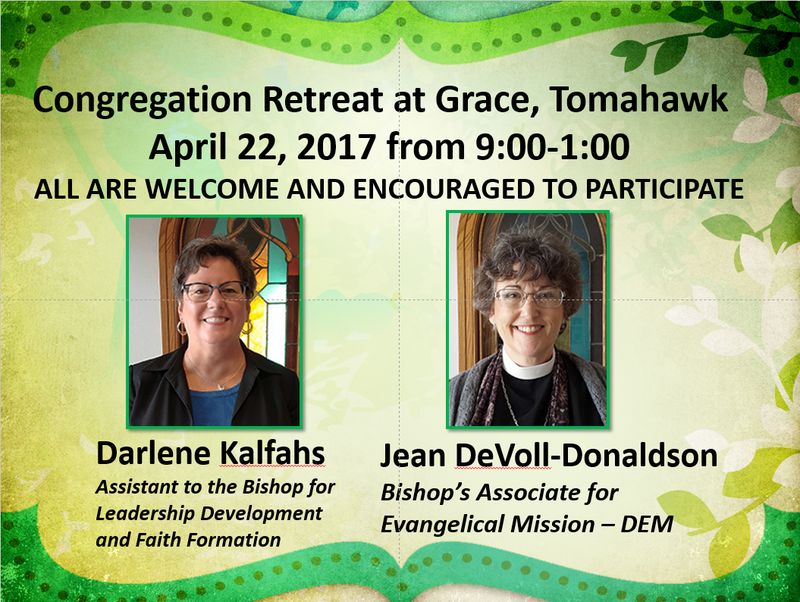 Pastor Jean DeVoll Donaldson and Darlene Kalfahs from our East Central Synod of Wisconsin will lead this retreat as they did in 2015. They will use a tool called “asset mapping” which they have been trained in and have perfected. 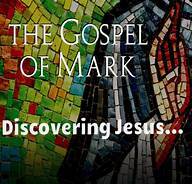 It is a valuable activity for helping people increase an attitude of abundance, see God’s resourcing in new ways, and consider how the gifts and blessings of people might come together in new ways that might not be as readily considered without the prompt of this work. The input and involvement of youth is very helpful in this activity. We are blessed! Circumstances in and around us distract us from seeing that. This retreat will guide, lead, and give us time to reflect on our blessings. Counting our blessings improves our attitude. When we link those blessings great things are possible in our individual lives, homes, relationships, congregation and living in God’s mission.